1 . 2 . 3 . 4 . 5 . 6 . 7 Liam starts preschool a week from today!!! 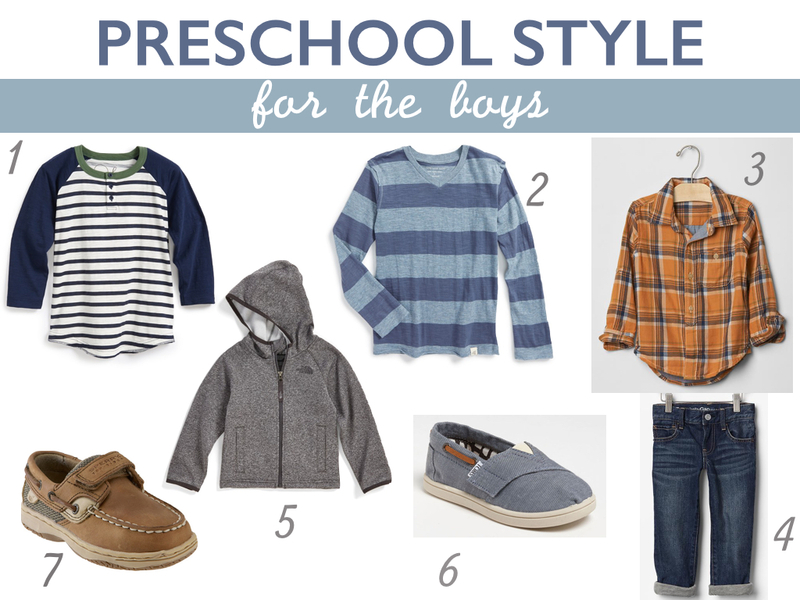 I won't get into all my feels about that in this post, but I did want to share a little round up of my favorite fall pieces for the toddler boys. I'm currently loving browns & blues this Fall. The orange plaid shirt will also be perfect for a trip to the pumpkin patch & the jersey lined jeans are our favorites! Cute clothes! I'm sure after the first day noah will be back into the graphic tees every day ;). Love Liam's preschool style!! We LOVE those Tiny Toms over here! I'm not 100% sure if Mason needs to wear socks to school or not (they nap and I think they take off their shoes and I feel better with him wearing socks) so he doesn't wear them to school, but we love them for the weekends! In fact, I need to order more as a Christmas gift because he is starting to out grown them! Would you like to pick out Sophie's style next? So cute!!! I am totally loving buying little boy clothes! Those jersey lined jeans sound amazing! We really do! I can't wait to see your little boy all dressed up after his arrival! Those little sperry's - too cute!